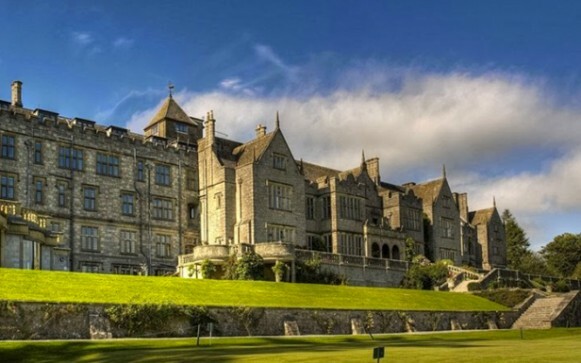 “You’ve arrived”, is the short and to-the-point slogan for the legendary Bovey Castle. It may not really be a castle, rather it's an impressive stately pile, but regardless of that arriving here is just the start. The list of activities and pursuits available (for experts and novices alike) ranges from the serious and predictable golf, hunting, shooting and fishing, horse riding and falconry to the downright quirky (anyone for indoor crolf? A combination of golf and croquet that is apparently taking the castle by storm). Eat: Bovey likes to highlight its relaxed, non-stuffy approach (and indeed staff do a great job of reinforcing that message), but there is still something nicely formal about the Edwardian Grill. It is fair enough that dogs aren't allowed in here. The menu offer classic fine-dining with a seasonal, local twist. 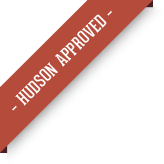 Other dining options include the more modern and relaxed Bistro (also not dog-friendly). There are also three lounges (as well as numerous private dining rooms) where your dog can join you for dinner (by previous arrangement). And there's also a comprehensive room service menu. Sleep: Dogs are allowed in most of the bedrooms and in the self-catering lodges that are dotted through the grounds (and provide a different way to enjoy the Bovey experience). That experience includes so many pursuits and activities that it’s easy to forget there's also an impressive spa, and plenty of opportunity to enjoy simpler pleasures like sitting in the good-sized rooms or the library reading a book in front of a roaring fire. Walk: There's no shortage of places to walk in the extensive grounds (and wellies can be provided if needed). Ask at the front desk for boots and ideas for local walks. Local attractions include 275 acres of Dartmoor National Park. There is also a real castle to explore. One of the National Trust's jewels, Castle Drogo was the last castle to be built in England and allegedly the last private house to be built entirely of granite. It rises high above the Teign Gorge and marks the start of one of Dartmoor's most famous walks through the Teign Valley. Bovey is also close to the glorious Devon coast, which offers everything from sandy beaches to towering cliffs and deserted coves to busy ports.